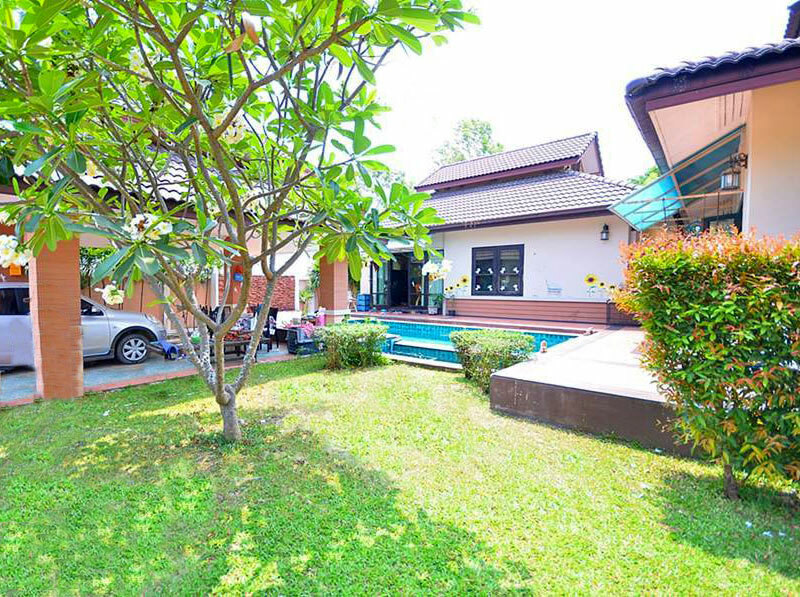 Located adjacent to Baan Suksabai I, a nice detached house in Soi 102 surrounded by a friendly community. Fit for outdoor-mountain lovers, hiking-enthusiast, and families that are nature-oriented. 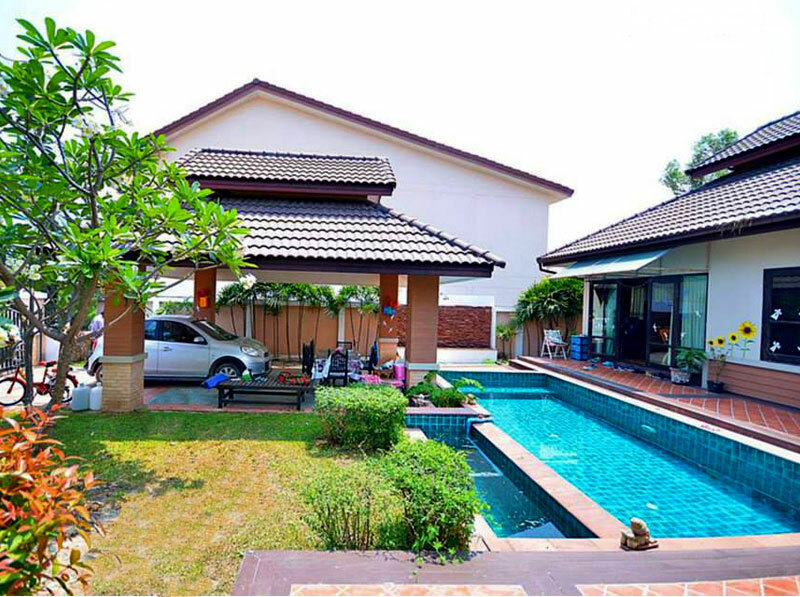 The house is about 2Kms from down town Hua Hin center and 1Kms from the famous Hua Hin beach. 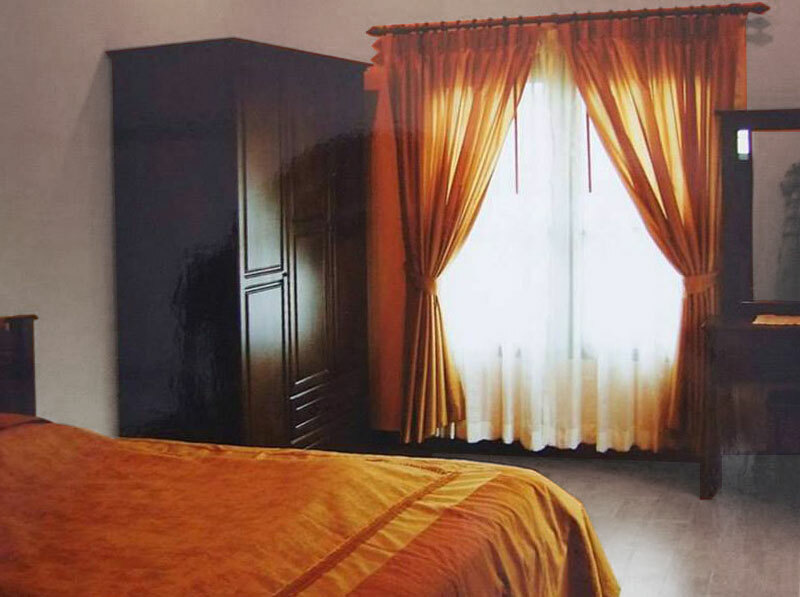 There are nearby local shopping mall, bowling alley, and cinema for your personal entertainment. The living area of 190 square meters comes completely furnished and thoughtfully designed throughout the entire estate. 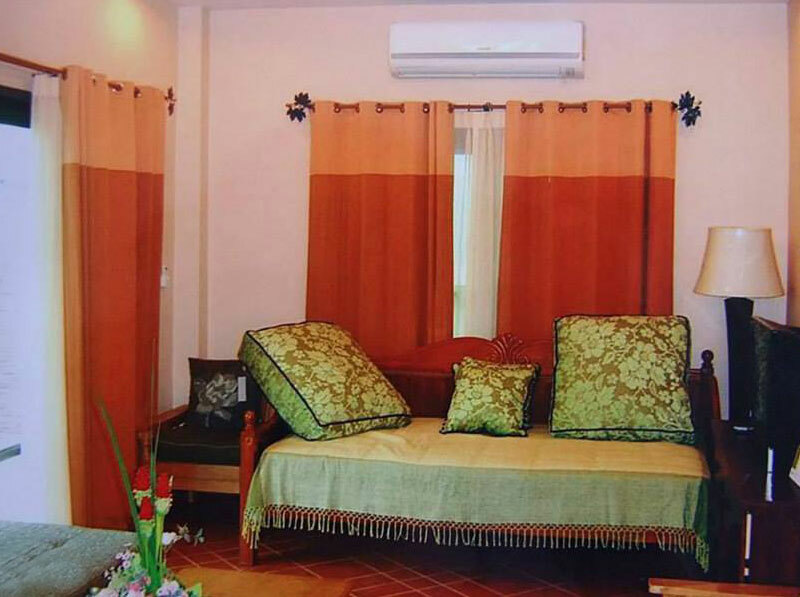 With in-door plant pots and wooden furnishers, mahogany ceramic floor tiles creating a homely feel to the place. There are 3 bedrooms, 2 bathrooms and all the bedrooms have garden views. 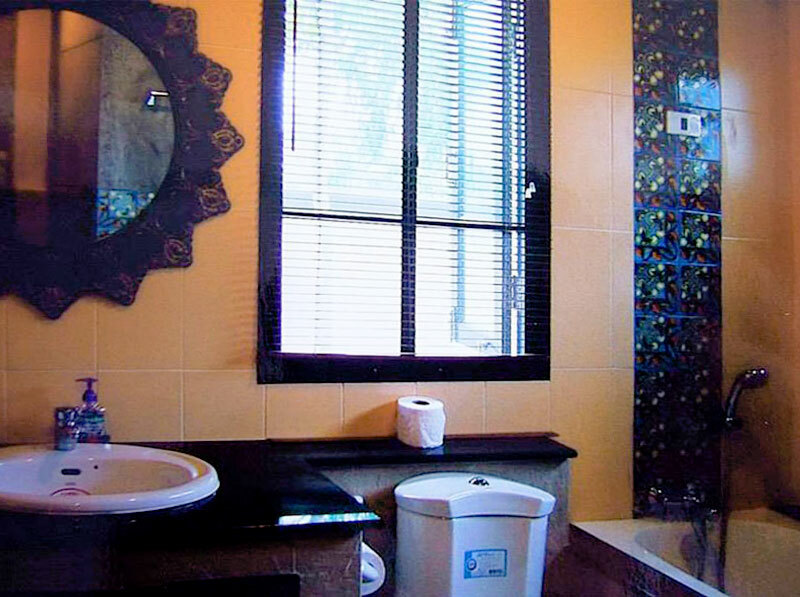 The master bedroom en-suite bathroom is decorated with a Moroccan style arrangement. A charmingly built patio walk-way overlooking the scenic view of the enticing pool on the front yard is meant for convenience.?? A shaded carport cover can also mean that one can place a table tennis under or other recreational instruments. 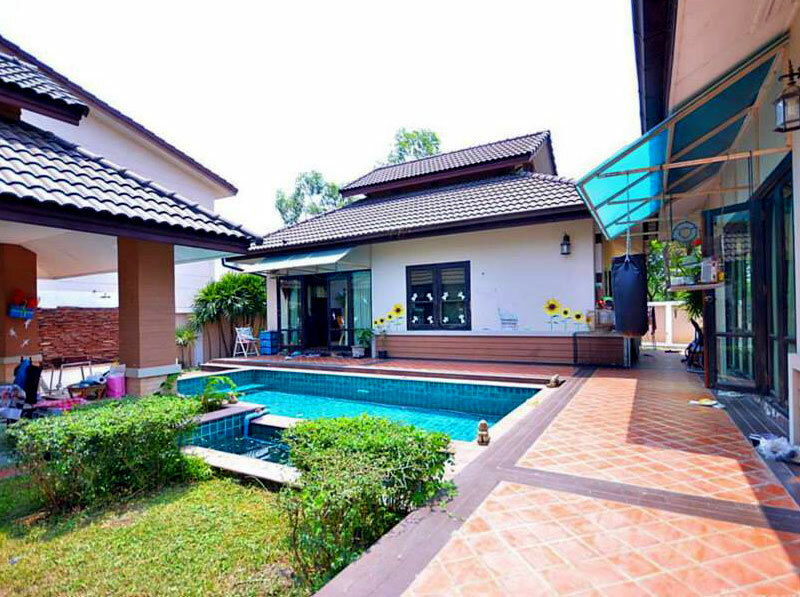 Consider this pool villa a fun and exciting retreat by the Mountains for all! 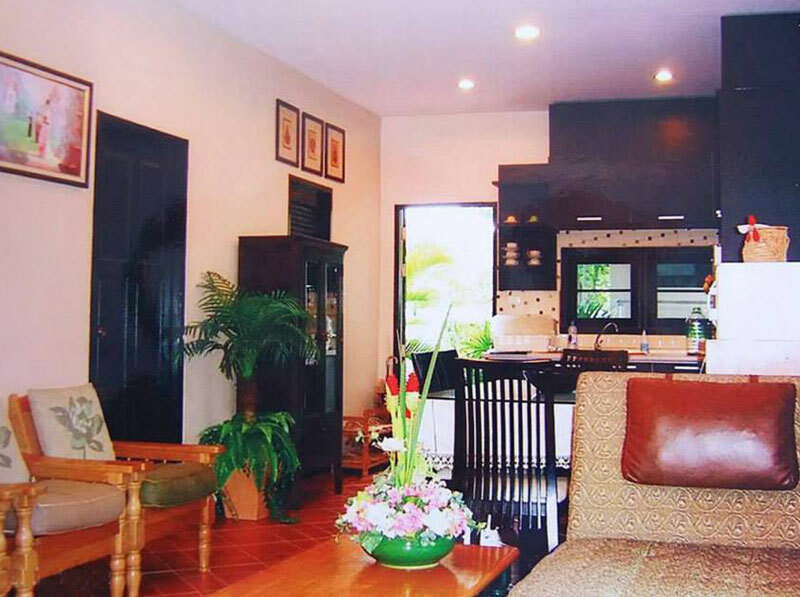 Rental Price: THB 40,000/ Month (include CCTV security), THB 30,000/ Month (minimum 1 year contract)? ?